Sociology 502: Research Design and Techniques (Quantitative). Sociology 360: Sociology and Natural Resources. Sociology 360: Sociological Methods (Survey Research). Forestry 525B: Social Research Methods for Studying Forestry and Conservation Problems. D.B. Tindall studies contention over environmental issues, including topics such as forestry, wilderness preservation, fisheries, and climate change. A major focus of his research has been environmental movements in British Columbia, and Canada, and in this context, the interrelationships between social networks, movement identification, and participation. His research has focused on various aspects of environmentalism including, values, attitudes, and opinions, activism and conservation behavior, media coverage of environmental issues, gender issues, and social networks and environmentalism. 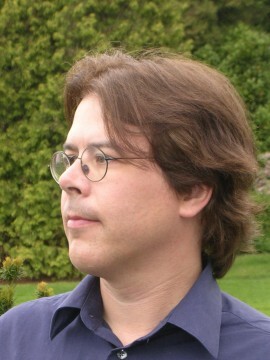 His current research, funded by the Social Sciences and Humanities Research Council of Canada, focuses on sociological aspects of contention over climate change in Canada, including perceptions about climate change, views about climate justice, and social processes affecting policies for dealing with climate change, and media coverage of climate change issues. Structural Social Psychological Bases of Individual Participation in the B.C. Environmental Movement. Media and Symbolic Aspects of the Conflict Over Old Growth Forests. Structural Social Psychological Aspects of the Conflict Over Forestry and Conservation on Vancouver Island. The Sociological Bases of Forest Values. Personal networks, identification and movement participation- SSHRC. Mark C.J. Stoddart and D.B. Tindall (in press) Feminism and Environmentalism: Perspectives on Gender in the British Columbia Environmental Movement during the 1900s. BC Studies. Mark C.J. Stoddart and D.B. Tindall (in press) We've also become Quite Good Friends: Environmentalists, Social Networks and Social Comparison in British Columbia. Social Movement Studies. D.B. Tindall (forthcoming) Weak Ties (Strength of). In George Ritzer (ed. ), Concise Blackwell Encyclopedia of Sociology. Oxford, UK; Blackwell Publishing. D.B. Tindall and J.J. Cormier (2010) Gender, Network Capital, Social Capital and Political Capital: The Consequences of Personal Network Diversity for Environmentalists in British Columbia. Pp. 282-307 in, Social Capital: An International Research Prgram, edited by Nan Lin and Bonnie Erickson. Oxford, UK; Oxford University Press. D.B. Tindall (2009) Review of Partisan Publics: Communication and Contention across Brazilian Youth Activist Networks by Ann Mische. Canadian Journal of Sociology 34(2):526-528. Jeffrey Cormier and D.B. Tindall (2005) Wood Frames: Framing the Forests in British Columbia. Sociological Focus, 38(1):1-24. H. W. Harshaw and D. B. Tindall. (2005) Social Structure, Identities, and Values: A Network Approach to Understanding People's Relationships to Forests. Journal of Leisure Research 37(4):426-449. (2004) "Defending the Forest: Chronicles of Protest at Clayoquot Sound." Tindall, D.B. (2004) Review of Moral and Political Reasoning in Environmental Practice. Edited by Andrew Light and Avner de-Shalit. Contemporary Sociology, 33(4):464-465. Tindall, D.B. (2004) Social Movement Participation Over Time: An Ego-Network Approach to Micro-Mobilization. Sociological Focus, 37(2):163-184. Tindall, D.B., Scott Davies and Celine Mauboulès. (2003) Activism and Conservation in an Environmental Movement: the Contradictory Effects of Gender. Society and Natural Resources. 16(10):909-932. Tindall, D.B. (2003) From Structure to Dynamics: A Paradigm Shift in Social Movements Research? Canadian Review of Sociology and Anthropology 40 (4): 481-488. Tindall, D.B. (2003) Social Values and the Contingent Nature of Public Opinion, Attitudes, and Preferences About Forests. The Forestry Chronicle, 79(3):692-705. Tindall, David. (2003) Review of Terre Satterfield, Anatomy of a Conflict: Identity, Knowledge, and Emotion in Old-Growth Forests. Canadian Journal of Sociology Online, September-October 2003. 4 pages. Tindall, D.B. (2002) Social Networks, Identification, and Participation in an Environmental Movement: Low-medium Cost Activism Within The British Columbia Wilderness Preservation Movement. Canadian Review of Sociology and Anthropology, 39(4):413-452. Tindall, D. (2002) Social Groups, Forest Values, and Visual Quality Preferences: Some Reflections of a Sociologist in British Columbia. Pages 16-18, in S. Morford and J. James (editors), Incorporating the Human Dimension: The Role of Social Science in Natural Resource Management In British Columbia., Kamloops, B.C. : FORREX. Tindall, D.B. (2001) Variation in Public Values and Visual Quality Preferences. Pp. 215-234, in Looking Beyond the Trees: Visual Stewardship of the Working Forest, edited by Jacques Marc and Darcy Hill., Victoria, B.C. : Ministry of Forests and Forestry Continuing Studies Network. Tindall, D.B. and Barry Wellman. (2001) Canada As Social Structure: Social Networks and Canadian Sociology. Canadian Journal of Sociology, 26:265-308. Tindall, D.B. (2001) Social science and forestry curricula: Some survey results. Forestry Chronicle 77(1):121-126. Tindall, David B. (2000) Why do you think that hillside is ugly? A sociological perspective on aesthetic values and public attitudes about forests. pp. 57-70 in S.R.J. Sheppard and H.W. Harshaw (eds. ), Forests and Landscapes: Linking Ecology, Sustainability and Aesthetics. IUFRO Research Series, No. 6, Wallingford, Oxon, U.K, CABI Publishing.